If you were thinking that the women’s U20 European Championship basketball tournament this month lacked significant Canadian flavour, think again. Gemma Bullard (left), a Guelph native and wing player for the Queen’s Golden Gaels, is competing in her third international tournament. Competing with Great Britain—she is a dual Canadian-British citizen, after all—Bullard has been shooting hoops since she was seven, as a way to keep up with her older brother. Now, Bullard is using her time on the British squad to improve her skills, and get a feel for where her basketball career needs to go. "I really wanted to play nationally because I thought it would bring my game to the next level," she said. "University basketball does not give you as much of a varied look at different players and playing styles than the national level does. It gives me a chance to experience different styles of play and to compete at the highest level." Bullard, at the time of our interview, is in Europe, taking part in training camp as a way to shake off cobwebs from the OUA season for the past month. Years of taking part in international basketball have shown her tremendous contrasts between university basketball and the international game. “The national program season is shorter so we need to pick up a lot of new material in a very short amount of time,” she said. “We also need to focus a lot on developing our systems quickly so that we are ready for games. Urosevic said playing with Bullard from a young age, on the same team and even within a game of H-O-R-S-E has really brought out the competitive edge between the two of them. “We would joke around and take really deep shots between drills but then when it came to winning a drill, it was game on," Urosevic said. "If one of us wasn't playing hard, they would get exposed pretty quickly." But that is precisely the kind of gamer that Urosevic has come to expect. “Now having one year of university basketball behind her, she has played against better and stronger kids consistently," Urosevic said. "Having new knowledge and applying it across seas, I have no doubt she will come back more involved, confident, and stronger than before." 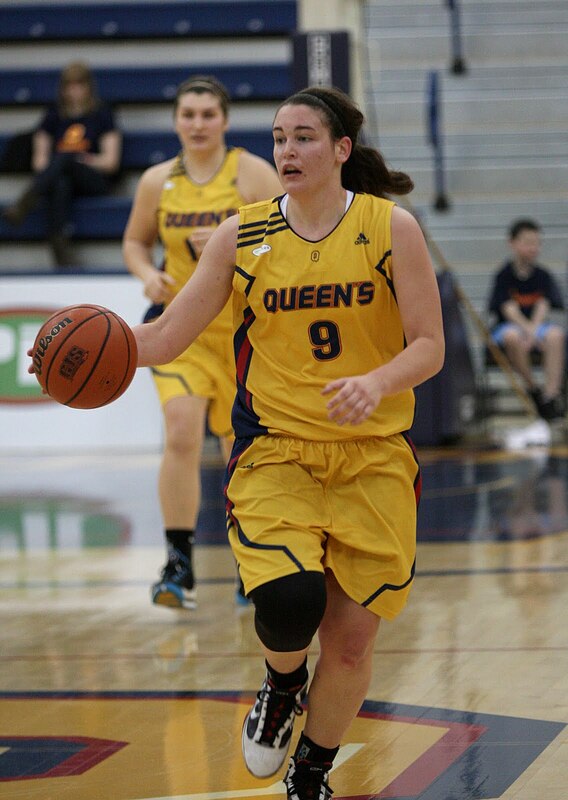 Bullard is entering her second year with Queen’s, where she is studying chemical engineering. She averaged nine points and 5.7 rebounds in 25.7 minutes a game in 2010-11. 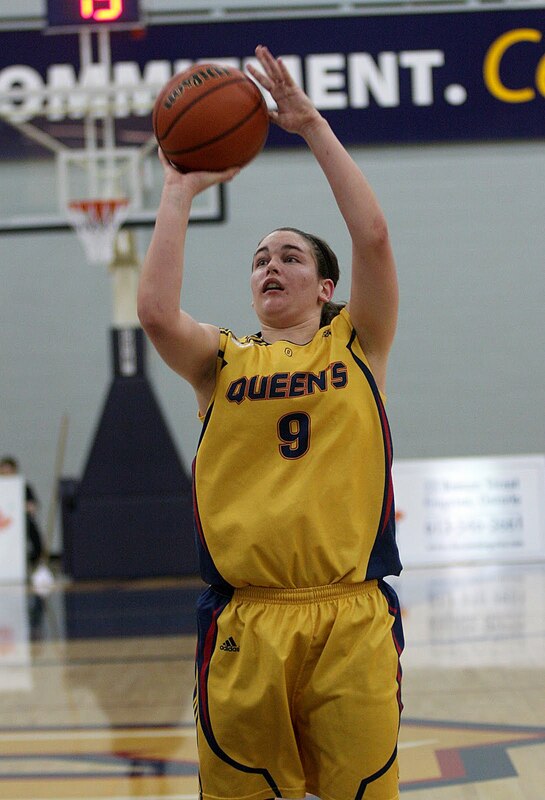 As a part of the OUA East All-Rookie team, Bullard contributed significant points and minutes to a team that had its rough spots. Finishing 7–15 for the season and in the bottom half of the OUA East, the Gaels had many injuries and played seven rookies regularly. Bullard herself suffered a minor concussion in December 2010. Within Bullard’s honesty is a strong optimism for her Gaels. The past season was a rebuilding year for the squad, and she thinks the team is much closer now they have some experience on their belts. "We are a very smart team, but sometimes we let this overpower our physical presence," Bullard said. "We need to have much harder on-ball defence to make it much more difficult for the opposition to control the ball." Bullard said they have some growth to do when they have the ball as well. But, one thing at a time. Bullard and the British squad began their trek into the U20 tournament July 7, against the pesky Slovaks. So far, the squad finished second in Group D, and are competing in the qualifying round in Group F. They will be facing the Italian women’s squad July 11. It is precisely this experience that Bullard eats up. "My participation on the U20 GB women's team has provided me with exposure to this new world of basketball and I have enjoyed it very much," she said. "As for professionally, I don't know where my career will be in the further future, but I would definitely like to keep participating in this sport, whether professionally, or even coaching." For more information about the tournament, visit this site.